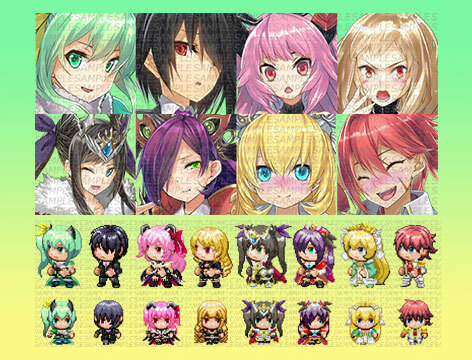 Fantasy Heroine Character Pack 3| RPG Maker | Create Your Own Game! Whether you're looking to switch up your party dynamic or simply wish for more variety, you can't go wrong with any of the 8 characters featured in this collection. From skilled knights and fencers to a cute archeress and a beautiful queen, we've got your leading lady's needs covered! Whether you're looking to switch up your party dynamic or simply wish for more variety, you can't go wrong with any of the 8 characters featured in this collection! Fantasy Heroine Character Pack 3 makes it easier than ever to integrate a new female character into your project by offering matching sprites, facesets, portraits and battlers. Inspired by both classic fantasy elements and a modern manga aesthetic, the characters in this pack are a fantastic addition to your growing library of RPG Maker Resources! 104 front-facing battlers (static, 13 variations per character × 8 = 104 ). 8 facesets, with 8 emotions. 64 portrait bust images (8 busts per character, with emotions). 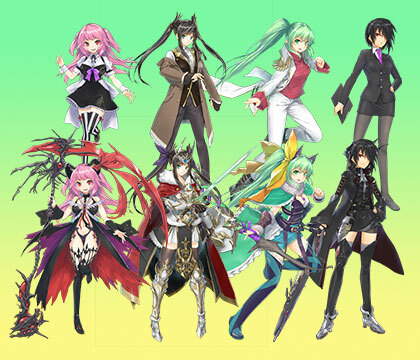 BONUS: All of 8 characters with large-scale full-character artwork. All of above comes with present (modern day) outfits!